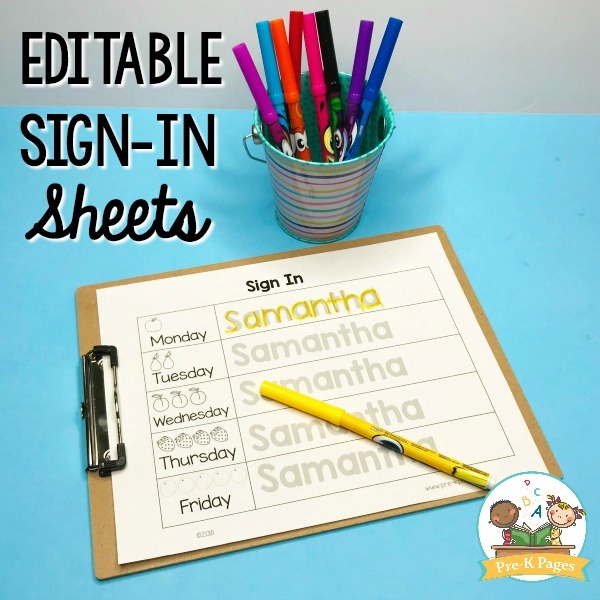 Are daily sign in sheets a part of the morning routine in your classroom? Nothing is more meaningful to a child than his or her own name. 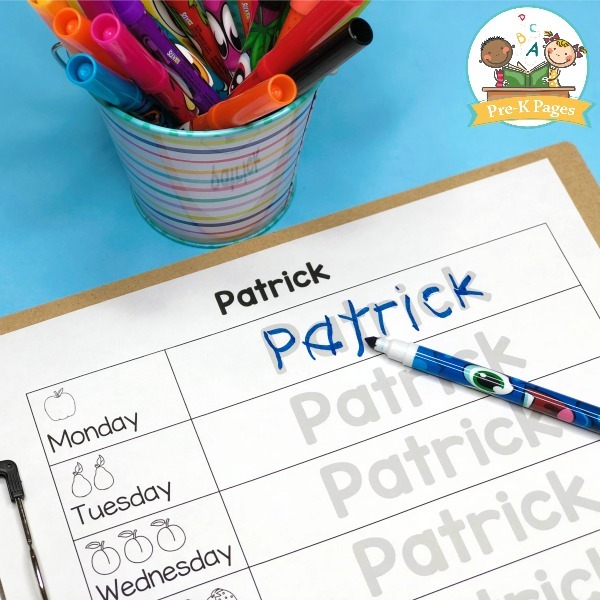 Learning to identify their own names and write the individual letters in their names are HUGE accomplishments for any young child. 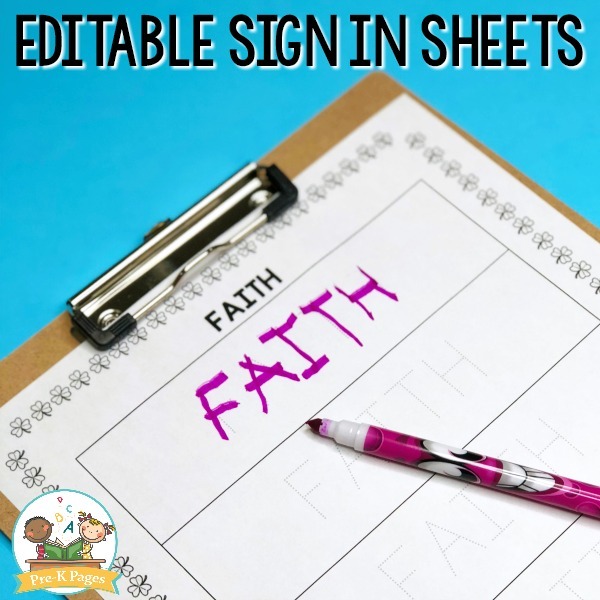 Daily sign in sheets are a great way to provide your students with meaningful name writing practice. 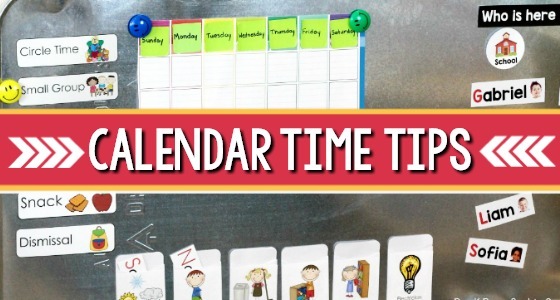 You can easily add sign in sheets to your morning routine at the beginning of the year, then add to them over time to make the writing more challenging as your kids learn and develop their fine motor skills. 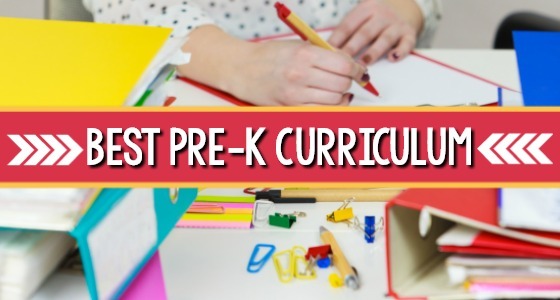 To the untrained eye, signing in to the Pre-K or Kindergarten classroom each morning may seem pointless. As adults, we tend to think of signing in as something we do at the doctor’s office or to keep track of hours worked. 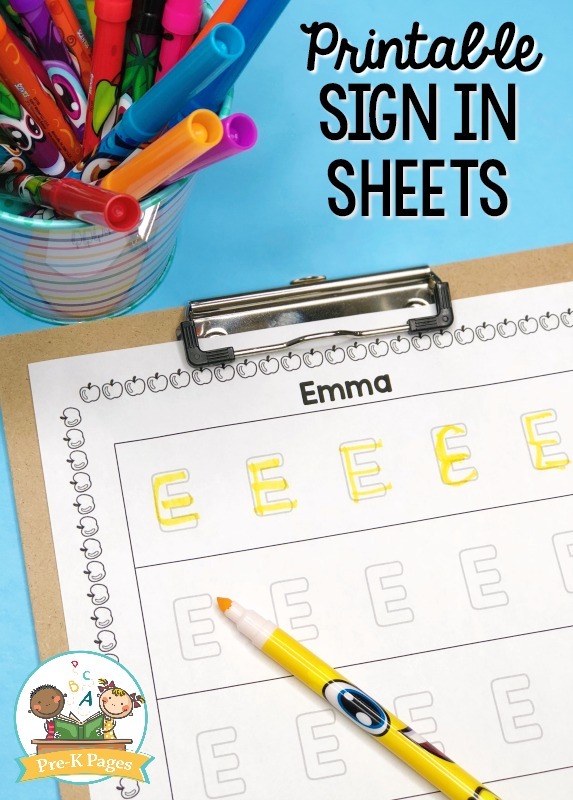 When we look at the use of daily sign in sheets in the classroom from an educational perspective, we can easily identify the many benefits this process has to offer our students. Why Use Daily Sign In Sheets? 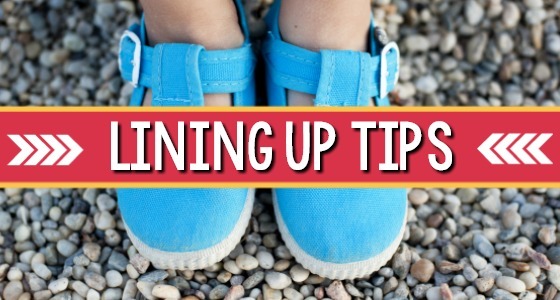 Identifying their names in print is an objective that most early childhood programs encourage. Once children have learned how to identify their own name, it becomes easier for them to identify other letters of the alphabet that aren’t in their names. As they learn that letters have shapes, and those shapes have names, the pieces of the alphabet puzzle will begin to fall into place. 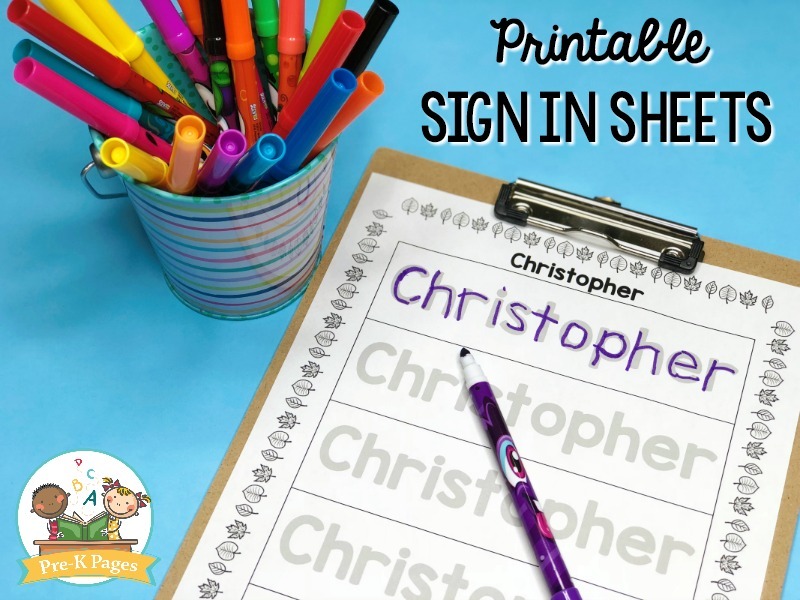 Signing in doesn’t have to mean extra work for the teacher, you can quickly and easily create your own preschool sign in sheets. 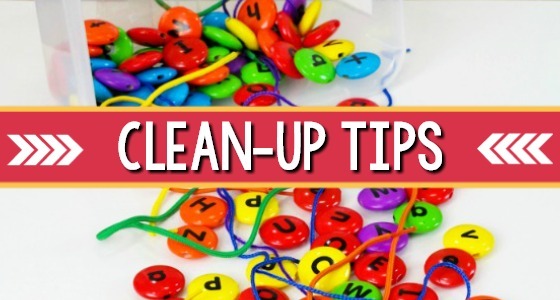 In the beginning of the year, start by inviting kids to trace just the first letter of their names. 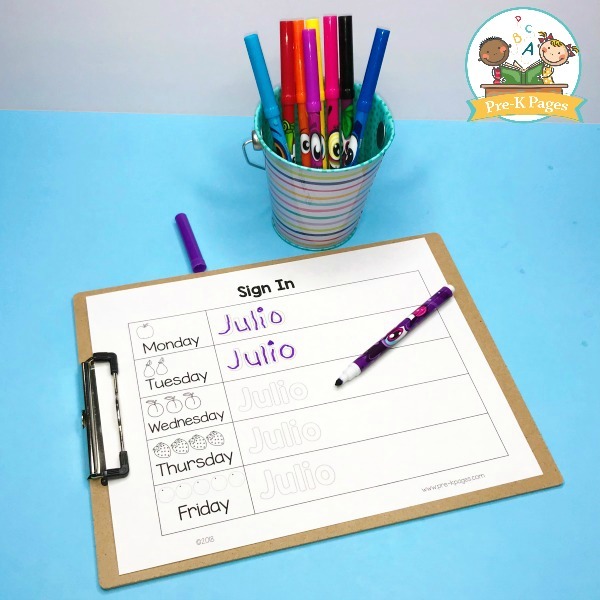 Then, as they begin to show progress with the first letter, you can invite your students to begin writing their entire first names. If your program encourages the use of all capital letters, you can type the letters of your students names in all caps and their names will automatically fill in on the pages using all caps too. First, decide how you would like your students to sign in. 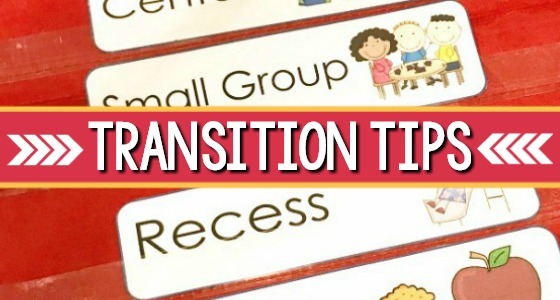 There are many different ways to implement preschool sign in sheets into your daily routine. 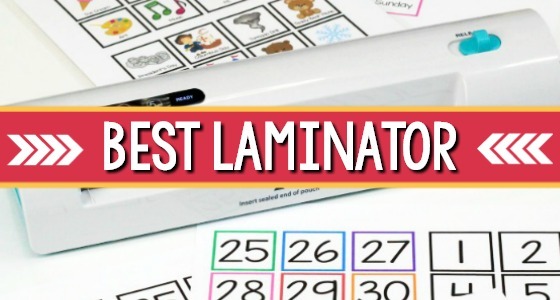 Do you want your students to sign in one at a time, or in small groups? 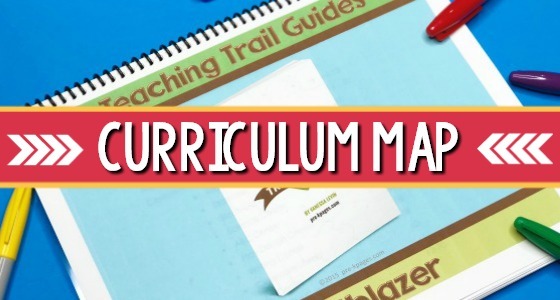 Will you put the sheets on clipboards, in a binder, or use another method? Be prepared for crowding and pushing if your entire class is trying to sign in at the same time. 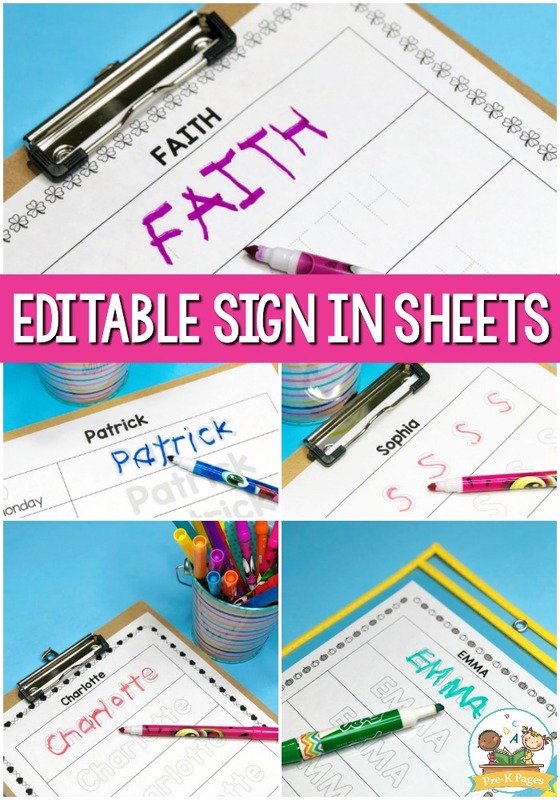 How will the children know where to write their names on the sheets in the beginning of the year if they can’t recognize their names yet? What happens if you have more than one student with the same first letter? Wait, don’t throw those name practice sheets away! 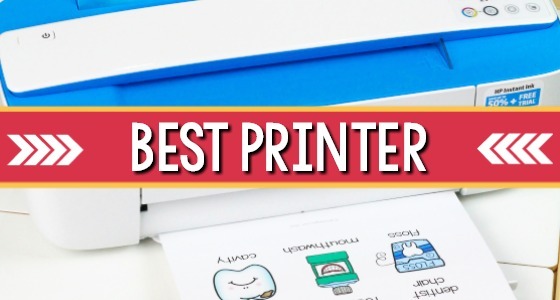 They can actually come in quite handy for assessments and parent conferences. 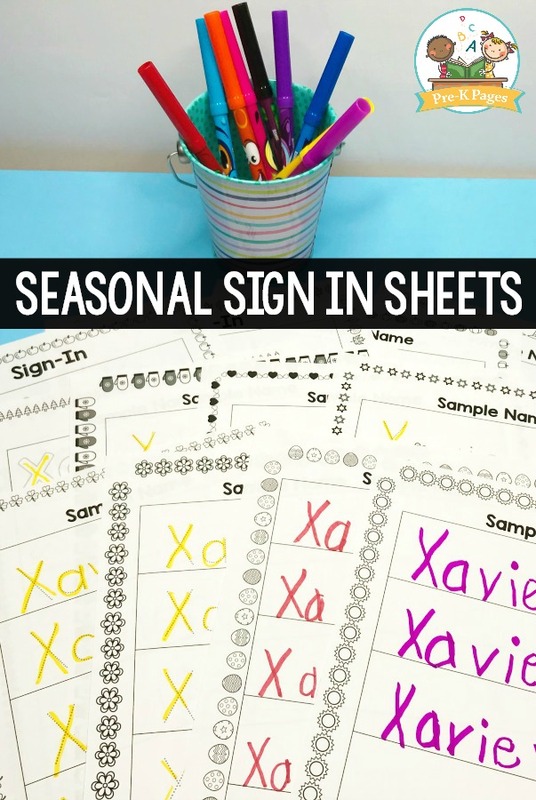 Just pop one of the seasonal sign-in sheets into each child’s portfolio to demonstrate progress over time. 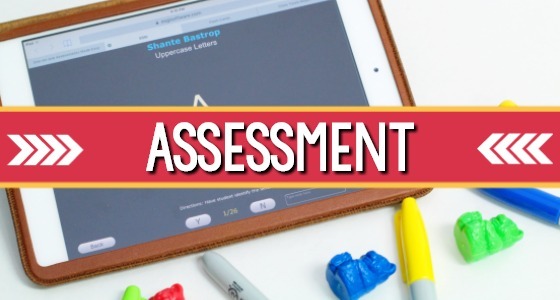 When it’s time for assessments, just take a quick peek in the portfolios to get an idea of how your kids are progressing with their name writing skills. 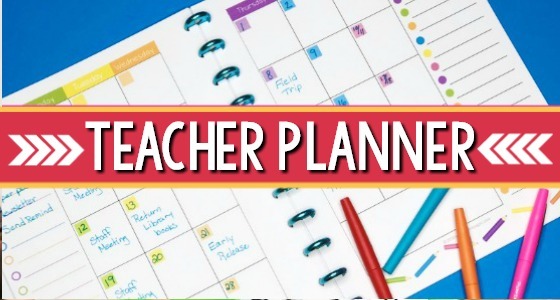 There’s also an option within this editable document to add the current date to each sign-in sheet, making it oh-so-much easier to keep track of student progress! 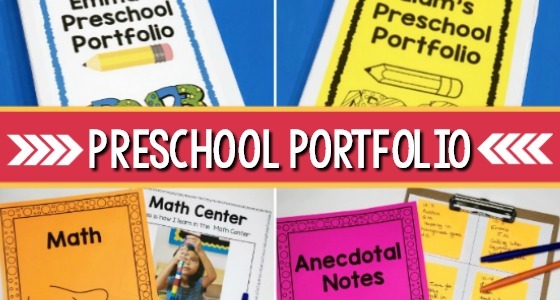 Share the portfolios with parents at conferences – they LOVE to see how much their child has learned and grown since the first day of school! 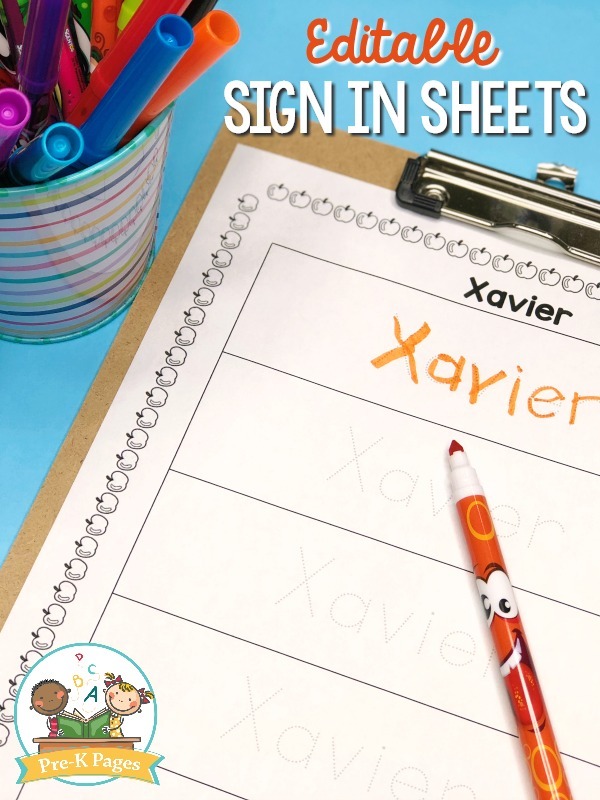 At the end of the year, staple together one sign in sheet from each month to create a name book for each child in your class. 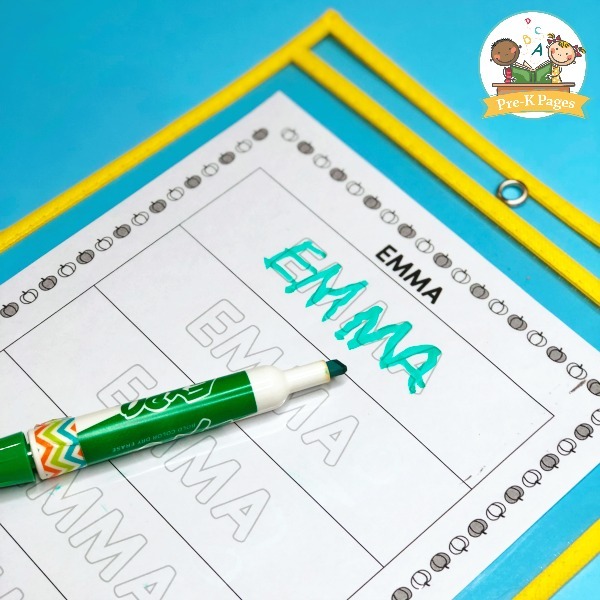 Your student’s parents will cherish their child’s name book forever! 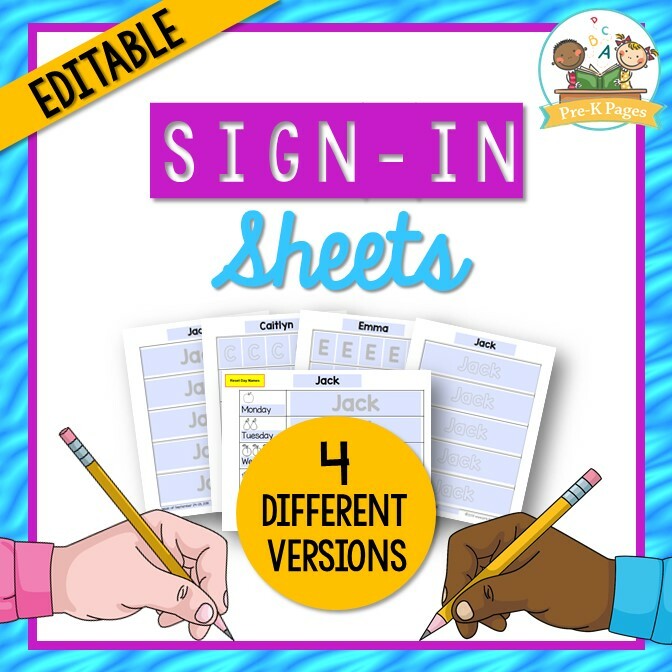 If your kids aren’t as enthusiastic about signing in as you would like, make it more inviting by putting out some new and interesting writing tools. Pipsqueak markers, scented markers, or glitter crayons will help spice up your sign in process and motivate your kids to participate! You can also place these sheets inside dry erase pockets and put them in your writing center for name practice if you prefer. 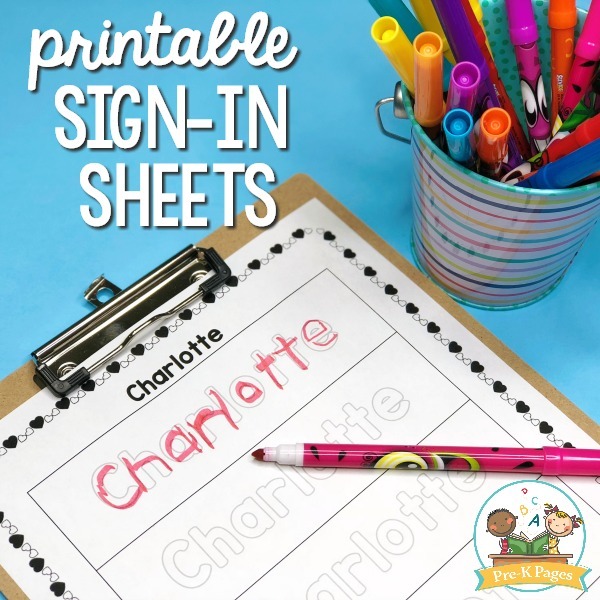 Learn more about the editable, printable sign-in sheet packet HERE. I love your ideas! Thank you for sharing them. My students here in Dubai love doing your activities! 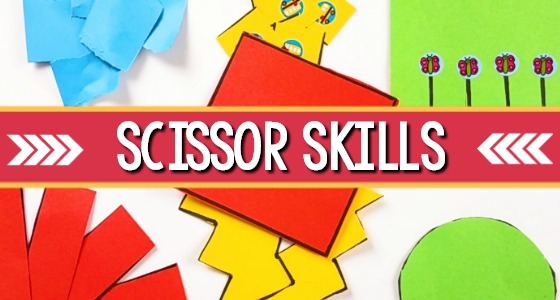 Their little faces light up every time I show them Teacher Vanessa’s newest activities. You’re the best!